CBS CEO on Super Bowl ads: $5M is "worth it"
CBS CEO Les Moonves has seen a lot of Super Bowls, but this year's, #50, is something special. His network has been promoting Sunday's telecast for a full year and enlisting every corner of its media conglomerate in the effort. During contract negotiations with all the major networks, "The NFL chose us to be the network that had the 50th... 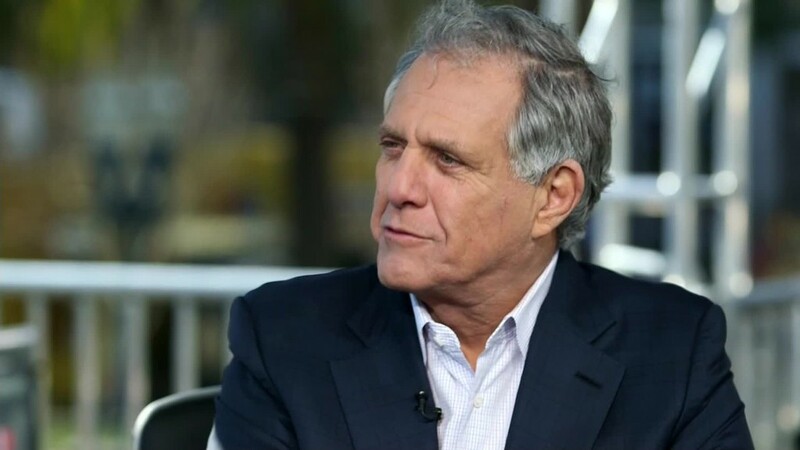 They had faith in us," Moonves told CNNMoney in an interview. CBS televised the very first Super Bowl back in 1967. The popularity of the game is an annual testament to the power of old-fashioned broadcast TV, something Moonves trumpets. At the same time the game is being streamed more widely than ever, through CBS apps on Apple TV, Roku, Xbox, and other devices. Moonves and his lieutenants have been learning a new, digital language, as have their partners at the NFL. This weekend's game comes at a celebratory moment for Moonves: On the same day he flew here to San Francisco, the CBS board of directors elected him chairman of the company, succeeding Sumner Redstone. He called the announcement the "icing on the cake" of this week. Here are excerpts from our interview — with more to be broadcast on CNN's "Reliable Sources" this Sunday at 11 a.m. Eastern. — Are you really charging $5 million for 30 second ads during the game? "For certain spots, yes... There is nothing like the Super Bowl. It garners more attention than any single event in America, any single event in the world. So advertisers realize they get a lot of bang for their buck." — NBC averaged almost 115 million viewers for the Super Bowl last year. Do you think you'll break that record? "I'm not making any predictions. It's gone up the last three or four years, it's broken new records... One year it's not [going to], but we don't know what's going to happen. We expect to do really well." — What is CBS doing to make it even bigger than past years? "We've really been planning this for an entire year. Sean McManus, our chairman of sports, called a meeting that I was in attendance with the day after the last Super Bowl, with literally every division of CBS there, planning for this weekend — and now it's the culmination of that." — How are the TV preparations going — any bumps along the way? "You know, they don't tell me everything, but it appears to be going magnificently well. All systems are go. We're looking forward to it. Remember, we're the network that had both Janet Jackson and the blackout in New Orleans. So our team is used to anything, and we handle it well." — Earlier this week the NFL extended CBS's television rights for "Thursday Night Football." But another network, NBC, is getting some of the Thursday games. Did CBS really want to have to split it with NBC? "Going in, of course not. Of course not. We had it the first two years, but the NFL decided they wanted to expand it to a lot more games, 18 games... We realized, fairly early on, that they wanted to split the package, which we ultimately were fine with. It was important for us to get the first part of the package," to use the football programming to promote CBS's new fall shows. "We felt it was a fair deal and we're very happy we have it." — Just how powerful is football programming nowadays? "Well, NFL football is the #1 show on television. Sunday night on NBC was the #1 show, Thursday night on CBS was the #3 show. 'Big Bang' was #2, may I add... So there's no question, as more and more people are DVRing shows or watching them online, the live quotient of the NFL games is superlative. Our numbers keep growing year after year, as other things don't grow, so it is the best product on television."